The new Top Cut 4 indexable drilling platform from WIDIA is targeted at end users that machine a broad assortment of products and material types. Now available in the UK from Tamworth cutting tool specialist Industrial Tooling Corporation (ITC), the Top Cut 4 ultimately gives manufacturers reduced inventory by providing a single drill for a variety of drilling applications and workpiece materials. Expanded capabilities and improved performance combine for outstanding results in the new Top Cut 4 indexable holemaking platform from WIDIA. A true multi-problem-solver, the Top Cut 4 has a breadth of application capabilities that include through and cross-holes, inclined entry and exit holes, 45º corner, half-cylindrical, concave and chain drilling operations. With four true cutting edges that combine with WIDIA-grade technology, notably higher speeds, feeds and consequently higher metal-removal rates can be achieved. 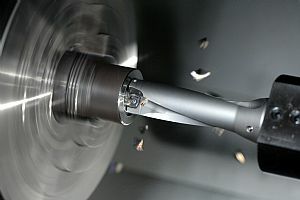 Furthermore, the new Top Cut 4 available from ITC will extend tool life to generate lower cost per edge for the end user. The Top Cut 4 periphery and centre inserts each feature proprietary cutting profiles for excellent centring capability and workpiece penetration. 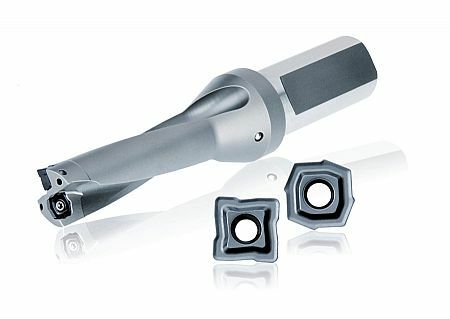 The inner and outer (centre and periphery) inserts are clearly differentiated to eliminate operator confusion and the inserts are available in grades for high-speed applications, tough material demands and high metal-removal machining. Specific geometries are available with reinforced cutting edges and a steep chipbreaker for steel, cast iron, and short-chipping materials. Additionally, ITC can offer inserts with an optimised chip groove for stainless steel, long-chipping steels and machining applications where low power consumption is required. The new Top Cut 4 from ITC features extremely stable tool shanks in lengths of 2XD, 3XD, 4XD and 5XD in both metric and imperial dimensions with diameter ranges from 12 to 68mm. There are eight insert sizes that cover the complete diameter range. The robust cutter bodies incorporate high helix angled flutes for efficient chip evacuation even at 5XD. Furthermore, large coolant holes mean efficient coolant delivery and extended insert life with exceptional swarf evacuation. Moreover, the Top Cut 4 is available through WIDIA’s NOVO digital process knowledge application. With powerful process knowledge available on digital smart devices, NOVO provides far more useful process knowledge than any online catalogue alone.